Please add more suggestions bellow! Indeed. RPG system was quite cool. I miss also old (DOW1 expansions) Commander upgrades and positional wars on planets. 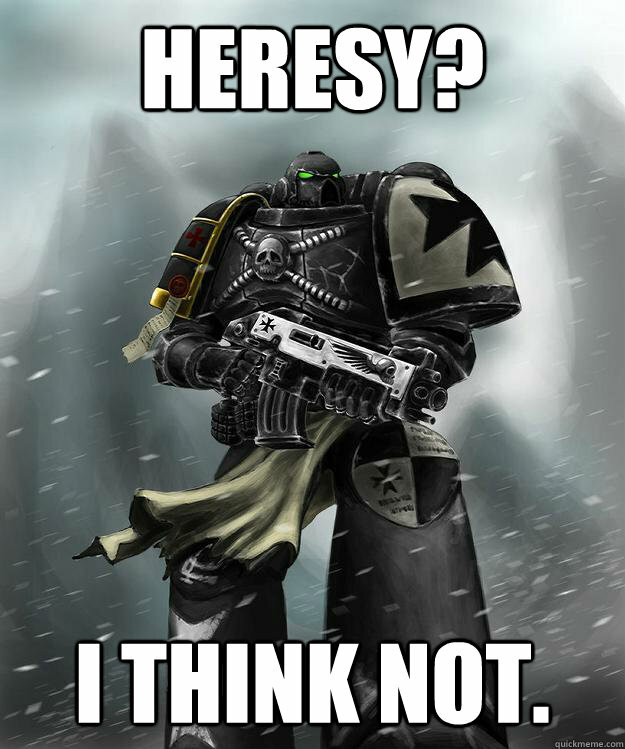 It was ++heresy redacted++ cool. BIG NO for DLC's. Only FULL Expansions. I will never buy any DLC like many people, it's cancer of gaming. We pay heavy price for gameplay worth piece of it. Only full expansions. This destroyed Company of Heroes 2, if SEGA will do this to DoW3, I will completely abandon it, like I cancalled pre-order until game was for less than 10 dolars... because of bugs, pathetic game optimalisation (now it's fixed and playable, but still tons of bugsplat errors on all PC's I have).